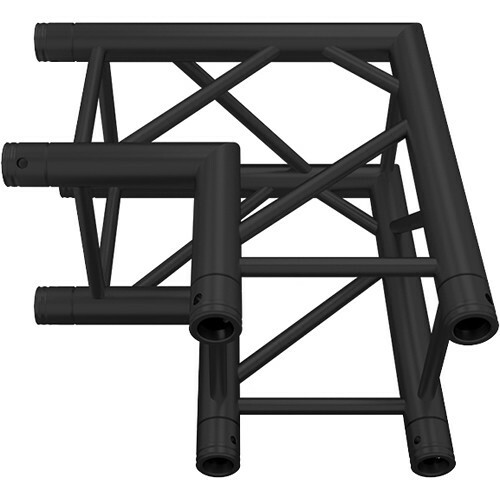 Create a stable, secure truss setup for setting up your equipment with this black matte-finished SQ-4121 2-Way 90° Corner from Global Truss, which is designed to work with F34 Square systems. This angle creates a 90° corner or turn in your system and has a length of 1.64'. It also features a durable 6082-T6 aluminum alloy construction to match the rest of the system as well as similar measurements. This includes an outside diameter of 11.42", outside tubing measuring 1.97", 0.75" bracing, and a wall thickness of 0.08".